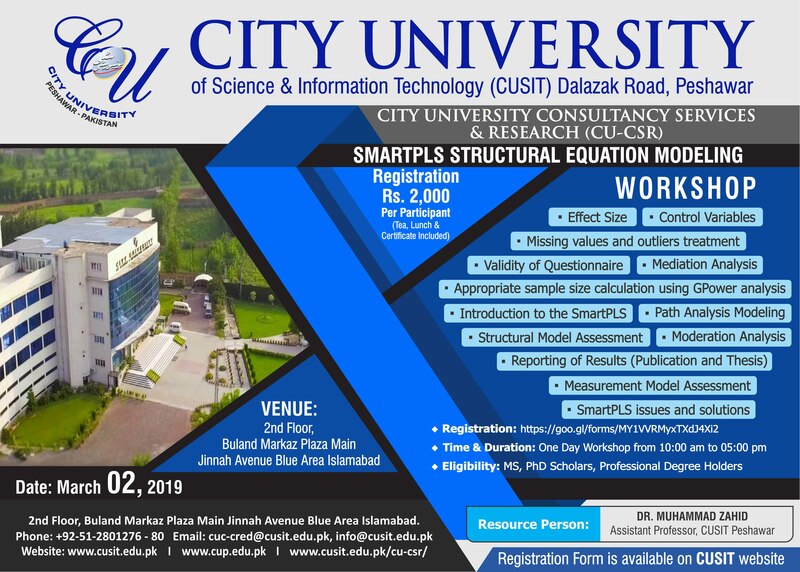 City University of Science and Information Technology (CUSIT) Peshawar has been chartered by the Government of Khyber Pukhtun Khwa (KPK) and recognized by Higher Education Commission of Pakistan as one of the first privately sponsored Universities in KPK. The relevant programs have been accredited by Pakistan Engineering Council and National Council for Accreditation of Computer Education (NCACE). CUSIT provides higher education opportunities in the fields of Engineering, Management, Computer & IT and Social Sciences. The University has been ranked in the top 5 Universities in the fields of Computer Science and IT in 2012 by HEC. CUSIT has been ranked in the top 100 fast growing enterprises by AllWorld Network (AWN)-USA. Through State of the Art facilities, purpose built buildings & Labs and highly qualified & dedicated faculty, CUSIT is endeavoring to achieve the highest Standards of Education and Research. CUSIT realizes the role of higher education institutions in exploring Cost Effective Solution to the problems faced by our nation. To this end Continuous Quality Improvement (CQI), cutting edge research and close Industry Academia Linkages have been focused. We are also training our graduates on entrepreneurship, so that they can startup their enterprises after grduation. For this purpose, it is highly imperative to engage in consultancy, research and development. To become an Elite Hub & Centre of Excellence by Creating Extremely Productive Opportunities for Graduates, Professionals and wide variety of Stakeholders through Crafting Highly Effective, Modernized and Efficient Support Solutions and Executive Programs. To serve the country through developing highly successful linkages between academia and industry, graduates and enterprises to foster professional and personal success for all associated beneficiaries by providing manifold support opportunities and productive partnerships, collaborations and synergies leading to enabling environments.